We have tried them all over the years, and this is the best available on the market. This 14 x 5 size was the original size. Chrome Rim like the original 1965 style. 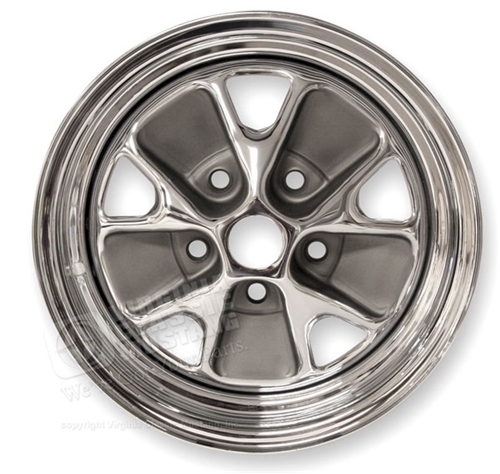 This particular wheel was an option on all 1965 Mustang equipped with any of the V8 engines.